Peel the avocado. Put the avocado, cocoa and honey in a blender and mix until the texture is smooth. Use a blender to break up the dried fruit and the nuts into crumbles (not pulp). Peel the mandarins and separate the fillets. Heat the mandarin juice in a small saucepan, at about 40°C. Add the agar-agar and gently bring to a boil. Place it in the fridge until it firms up. Take it out, put it in the blender and mix until it becomes creamy. Keep the mandarin sauce in a piping bag. Make a layer of dried fruits and nuts. Put the avocado mousse on top, along with the mandarin sauce. 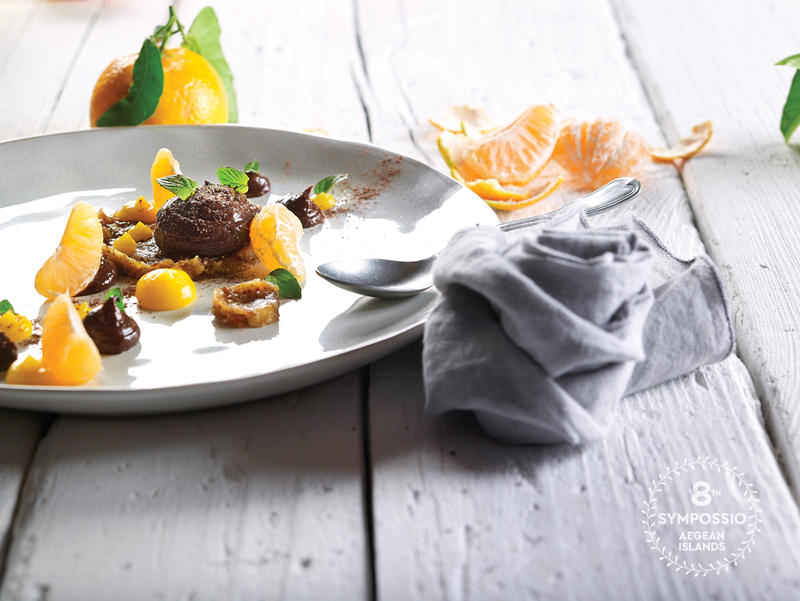 Decorate with the mandarin fillets, garnish with the peppermint leaves and the grated chocolate.